A short walk along the boardwalk from the locks takes you to the most popular beach in Bobcaygeon. The lake here is walk-in shallow, and perfect for children. Like all public swimming areas in Kawartha Lakes, the water quality is tested weekly . A cordoned swimming area adds another layer of safety. The beach area adjoins larger park grounds with a covered picnic area available for rental. The concession is operated by Just For The Halibut restaurant and offers snacks, drinks & meals for the whole family. Be sure to come by on Canada Day evening for fireworks. River View Park is a little further from the town-centre than Beach Park, and would make an excellent destination by bike For those who want to stretch their legs, it's a 15 to 20 minute hike from the locks. More natural water access than beach, the grassy park area goes right to the water's edge. The bottom is partially sandy and drops off to deeper water more quickly than at Beach Park. There's a covered pavilion for picnics This quiet and scenic little park has a playground for children, and is across from Forbert indoor public pool. The Bobcaygeon Splash Pad was built in memory of Bobcaygeon residents Monty and Nancy Crowe in 2013. It was the happy result of the shared vision and work of the people of Bobcaygeon, local businesses, the City of Kawartha Lakes' parks and recreation department, and the Bobcaygeon Chamber of Commerce. Bobcaygeon Public School students raised $15,000 and a grant from the Ontario Trillium Foundation made up most of the rest. The splash pad, which shoots and squirts water from a variety of bright primary-coloured pipes, is located in Tommy Anderson Park. The park also has a sheltered picnic area, washrooms, children's playground, horseshoe pits, basketball and tennis courts, baseball field, 2 junior diamonds, outdoor skating rink, skateboard park, soccer and football field (combined). This 8-acre lot of mature forest was made possible through generous donations from supporters, Ontario Trillium Foundation, and the City of Kawartha Lakes, as well as a significant amount of assistance from individuals and organizations. Hard-working volunteers cleared the lot of debris and Wilderness Park was officially opened in the spring of 2014. The park is open to hiking, cycling, cross country skiing, and nature interpretation, with trails that are built to best-practice standards and accessible to all, including those who are physically challenged. Wilderness Park is managed and maintained by Environmental Action Bobcaygeon volunteers. 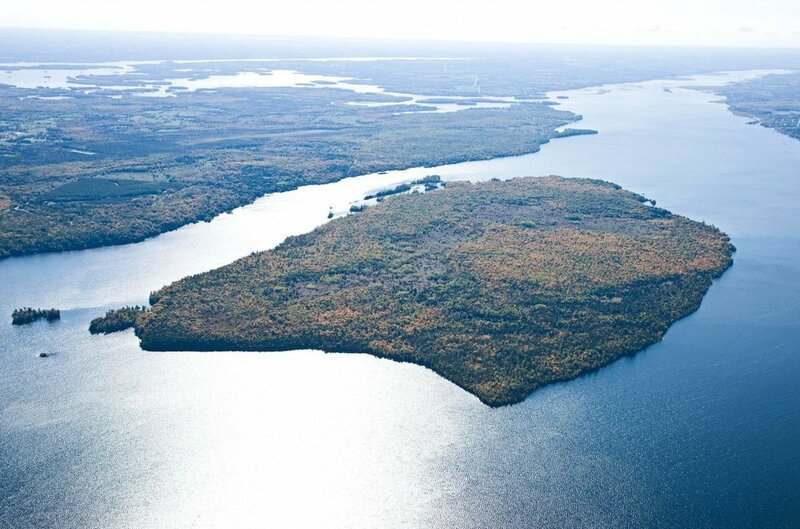 Big (Boyd/Chiminis) Island, located in Pigeon Lake, is the largest undeveloped island in the Kawarthas. 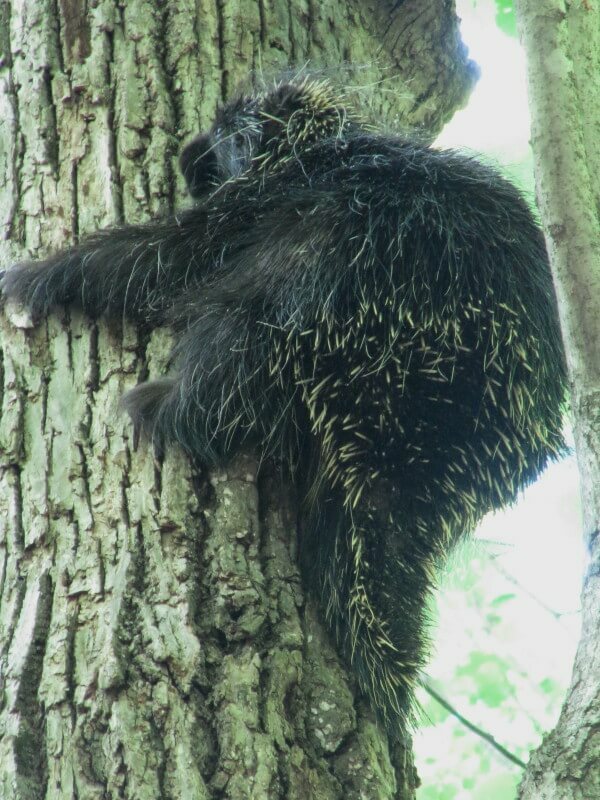 The property is an area of natural, cultural and scientific interest, and home to wetlands, diverse forests, and a wide variety of plants and wildlife. First Nations peoples used this island as a meeting and harvesting place thousands of years ago. The island was once owned (1873-1990) and farmed by the Boyd family, one of the first settlement families from Bobcaygeon. The island is referred to as Big, Boyd or by its indigenous peoples’ name, Chiminis. This 1085 acre gem and its 10km of shoreline houses thousands of species. Explore the forests and meadows of Big Island on over 8km of marked hiking trails. Please tread lightly and enjoy this protected space. 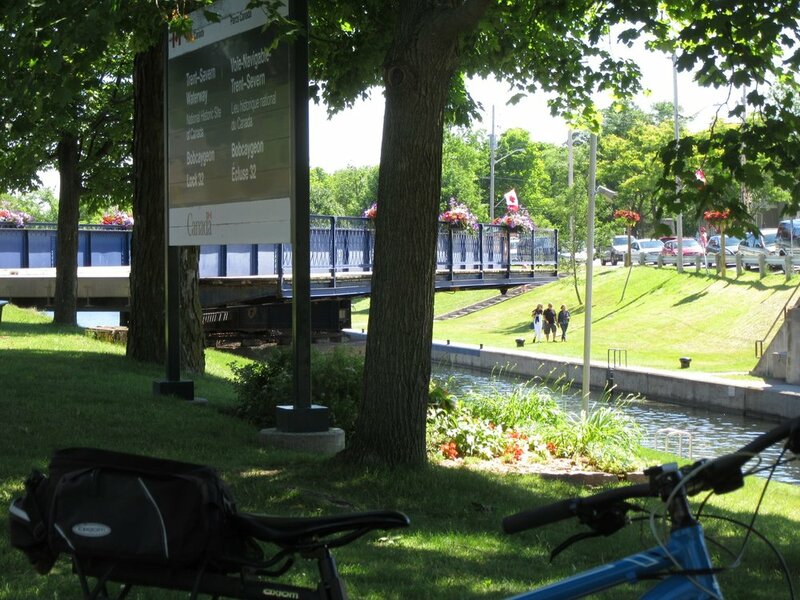 Bobcaygeon's Lock 32 Park is located in the heart of the village, with green space on either side of the swing bridge. 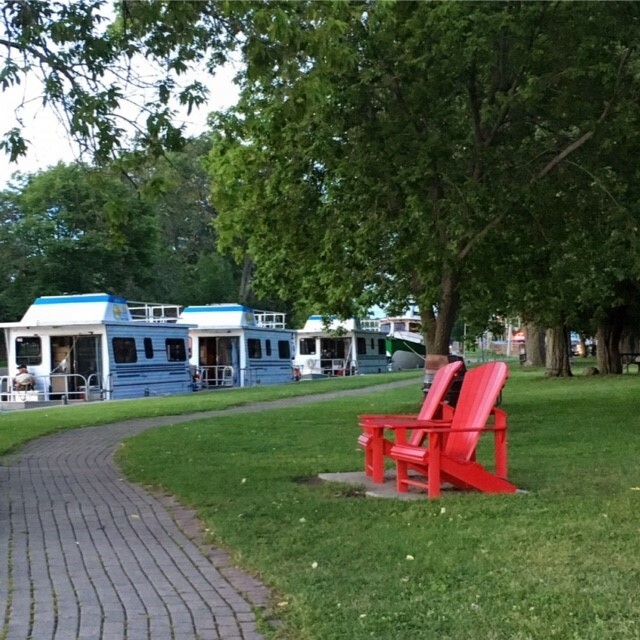 You can relax on a bench and watch the busy Trent Severn Waterway in action. Boats of all kinds, and plenty of them. And Bobcaygeon is called the Houseboat Capital of Canada for good reason. This park has shady, grassy areas and picnic tables, as well as a washroom provided by TSW. You're close to shops and restaurants and also to the town's newest tourist attraction, bikeshare stations where you can rent bikes using an app on your smartphone. Summer brings free outdoor music concerts every Thursday evening to the pavilion, you just bring your own lawn chair and enjoy. Lock 32 Park is lively in the summer and slows down, but remains a beautiful destination, in every season.